"Mom, you know why I'm hungry all the year?" "Because I'm always waiting for Thanksgiving. And then when it's Thanksgiving, I eat so much for a feast and I'm not hungry anymore." Teehee. We're hosting the feast this year - we've been planning and prepping and dreaming and drooling (yes, already) for days. We've even beta-tested a new cranberry sauce recipe. But even if you're not the one basting the turkey all. day. long. this year, I'll bet you're prepping your home for guests all the same since it's that time of year - lots of guests, and food, and noise, and quality time spent together. The first thing your guests'll see is your door and entryway. 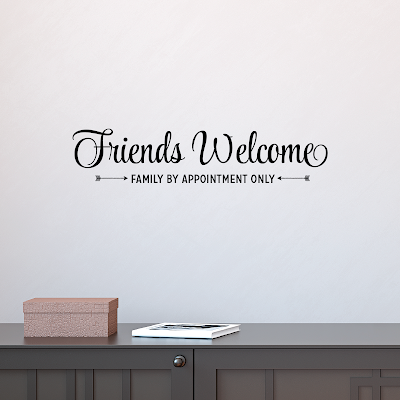 Make 'em feel welcome with some of our newest designs perfect for the entry (and other places, too). This phrase is a perennial favorite, but we've updated it with the whimsical laurel and modern fonts with a quirky handwritten look. 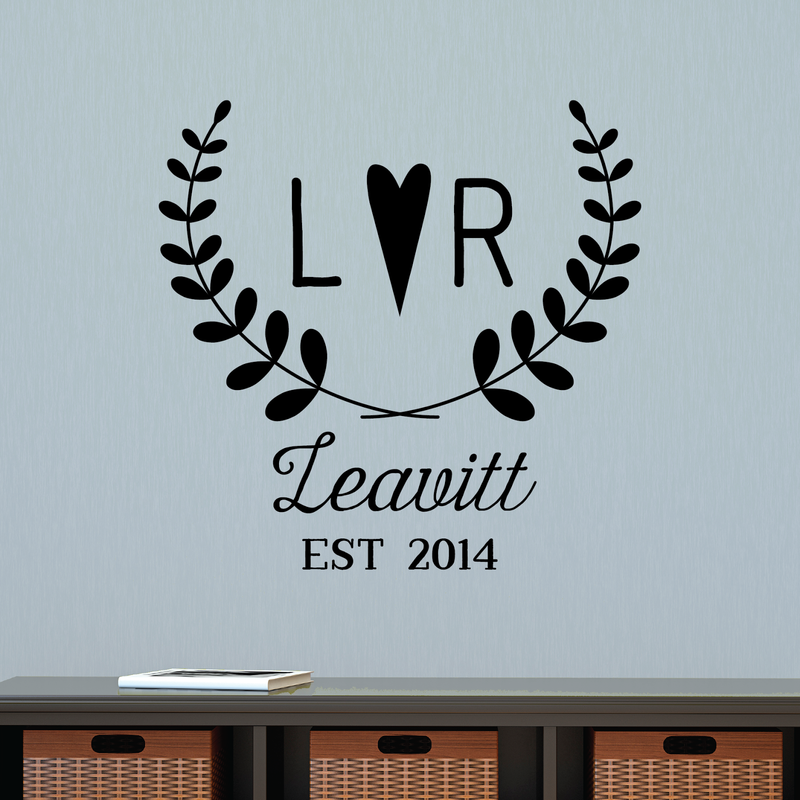 It'd be perfect in the entryway. 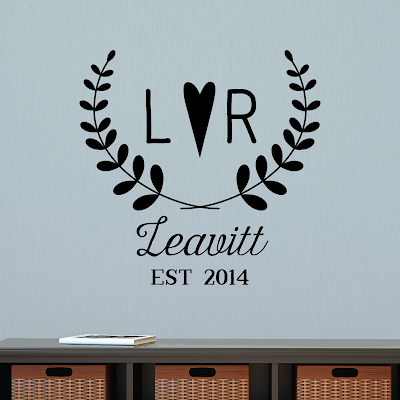 Lisa, one of our very talented designers, got married this spring and designed this for her new home. So sweet. 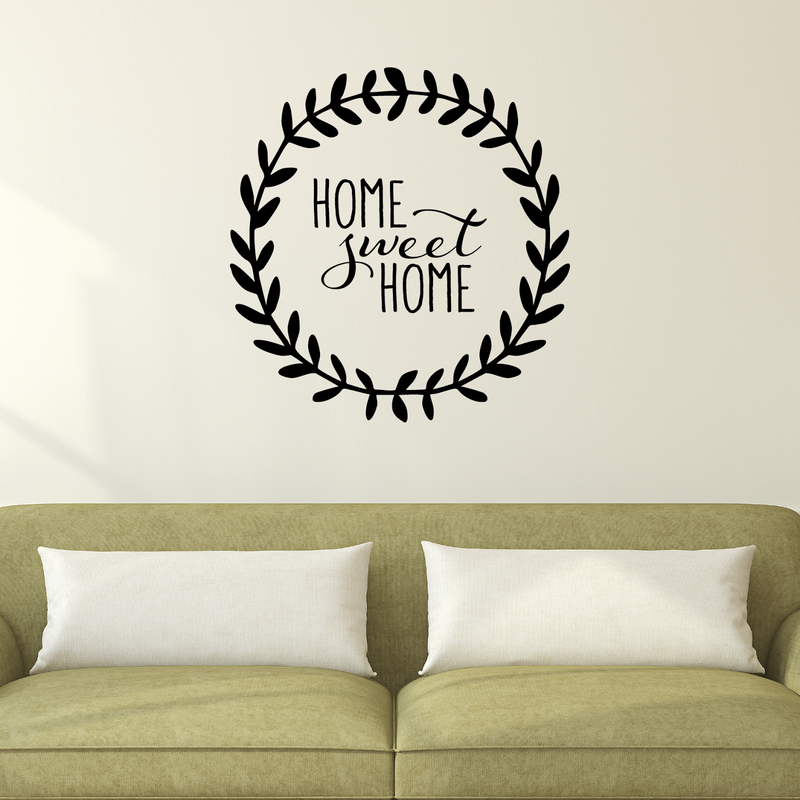 And yet you don't have to be newlyweds to put this on your wall. You'll still get ooh and aahs. Promise. 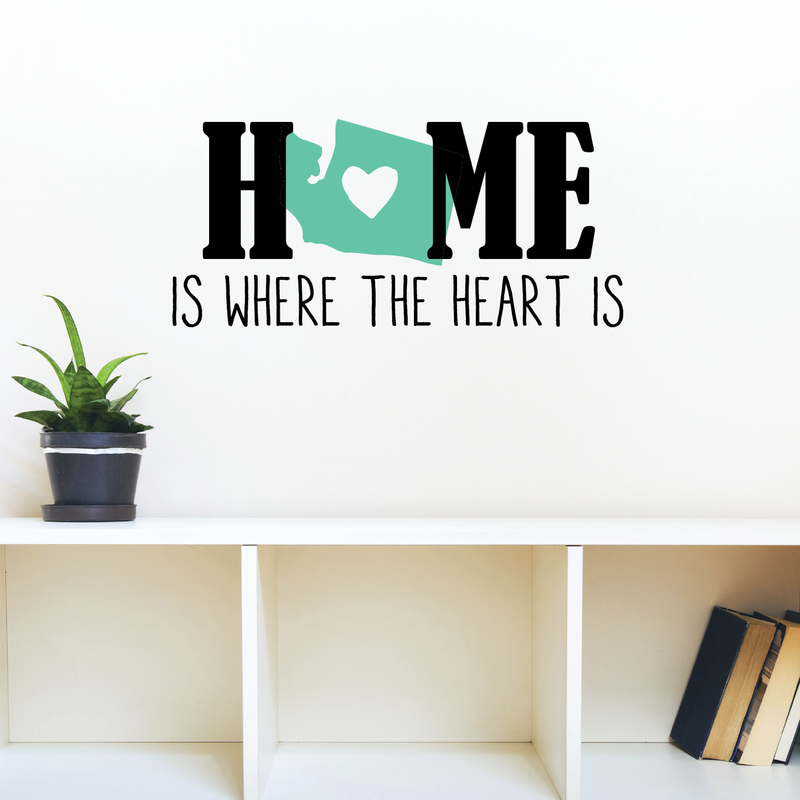 Show your home state (whether it's where you've spent your whole life or you've just moved in) a little love. Best thing? With the 2-color option, you can make that state whatever color fits best. We like Teal (obviously), Dark Red (always a pretty choice), Copper (very classy), and Gold (so in right now). Teehee. Funny because it's true, right? 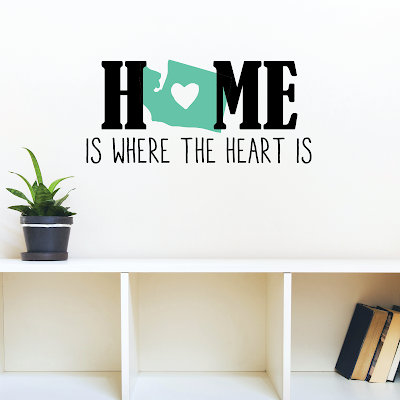 But even your family will get a kick out of this cute little decal. And there's not much better than inspiring a chuckle as you welcome your guests into your home. A portent of good things to come, no?